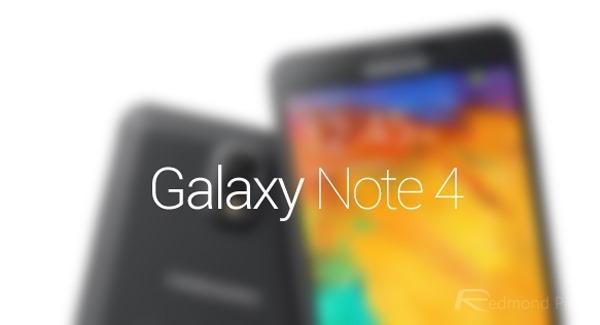 On the first week of September, with the IFA tech gathering looming, Samsung usually showcases the latest addition to its phablet ‘Note’ series, and although we’ve heard several reports with regards to the Galaxy Note 4, it’s now certain that Samsung Unpacked will be held on September 3rd. The Korean outfit just passed out invitations to the special event, and although it cannot be confirmed that we’ll be seeing the Note 4, the timing leads us to believe that this will, in fact, be the case. Even though Samsung has continued to increase the display real estate of the Note range through generations, a different tactic will apparently be deployed this time around. From what we’ve gathered, the fourth note will retain a 5.7-inch diameter, giving the device a relatively similar form factor to the Note 3, although Sammy will supposedly sharpen the panel with a Quad-HD resolution. There was always going to come a time when smartphones stopped growing, and while the larger configuration of the rumored Galaxy ‘Alpha’ handset may boast a mammoth 6.7-inch display, the Note may have hit its peak in terms of how sizeable a screen should be on a mainstream smartphone. Away from the display, which will obviously be among the major talking points, the Galaxy Note 4 is also said to include a 16-megapixel rear-facing shooter. Given how Samsung likes to interchange components between the Galaxy Note and Galaxy S line-ups, it’s very likely that this will be the same 16-megapixel sensor and f/2.2 lens that the yielded the Galaxy S5’s snapper so many rave reviews. The press invitations have been sent out for September 3rd at 2PM at Berlin’s IFA, and with just one month to go, we’ll surely be able to poach a few more details in the coming weeks. 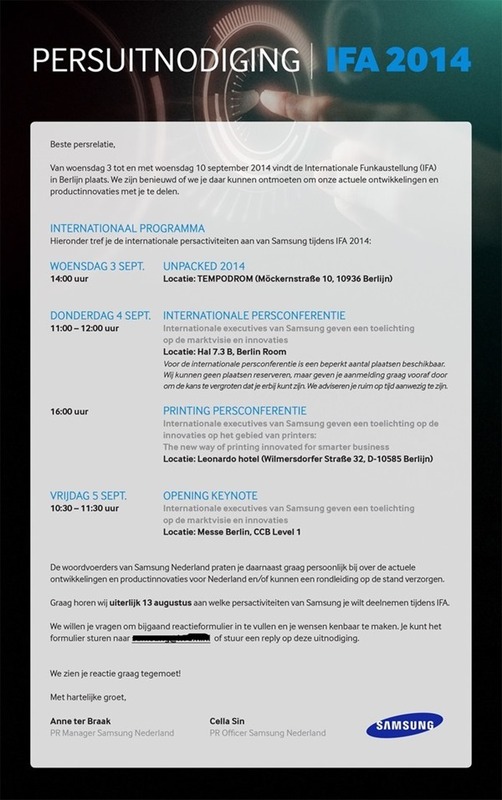 Whether we’ll also be seeing that aforementioned Galaxy Alpha is anybody’s guess. The device, which is said to be outlined with a metallic, chamfered edge, has been stalking the blogosphere headlines for several months, and with the iPhone 6 on the horizon, is reckoned to be Samsung’s counter-attack. 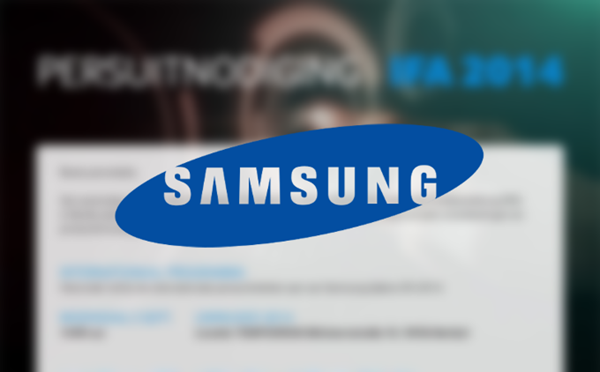 What are you hoping to see Samsung announce at Unpacked 2014? Be sure to let us know via the comments, and stay tuned for the usual spate of pre-Unpacked teaser clips that Samsung will no doubt delight us with once more.